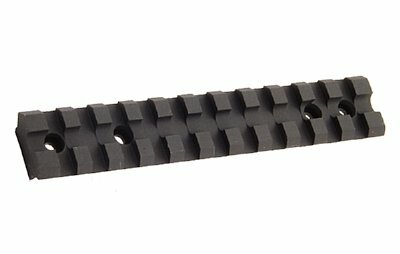 Great new adapter turns your flat or round receiver 22 dovetail into the popular Picatinny/Weaver rail system. Easy installation and rock solid mounting are just some of the great features of this mount. This unit has 4 cinching screws as well as locking pins to keep your mount from walking with you. Another great problem solver from the team at David's Collectibles. UTG New Gen Dovetail to Picatinny/Weaver Cantilever Rail Adaptor. 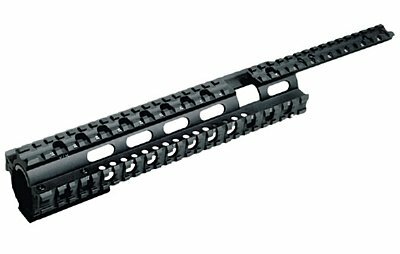 5.7" Picatinny Top Rail with 14 Slots to Provide Flexible Eye Relief Adjustment and Mounting Flexibility of Various Optics. Fits 9mm - 11mm Airgun/Shotgun Dovetail Rails Comes with 4 High Strength Screws and Adjustable Recoil Resistant Stop Pins Which Ensures Solid Locking and Zero Holding and is Designed to Resist Bidirectional Recoil Force. Easily Slides On and Universally Fits Both Flat & Rounded Dovetail Receivers. Precision Machined from Aircraft Aluminum and Finished with a Matte Black Hard Coat Anodize finish. Saddle Height is 0.59". 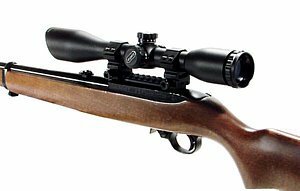 Rail mount fits your Ruger 10/22 rifle in its pre drilled holes on top of the receiver. This great item lets you easily mount optics and dot sights to get the most out of your rifle. Made of quality metal, this mount comes with mouting screws and has a nice black finish. 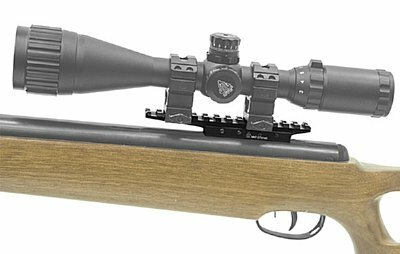 This great item really brings your Ruger 10/22 rifle to a new level. Allows the mounting of all your accessories within easy reach as well as a mount fo your optics. A great David's Collectibles best of the best item. 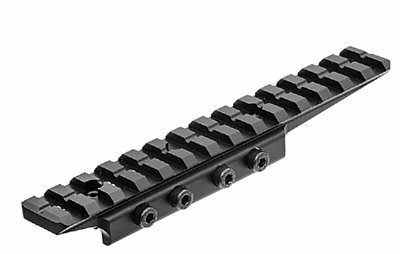 Quad rail system for the Ruger 10/22 rifle. 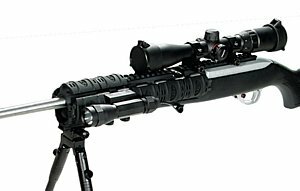 Easy 2 piece installation mounts around barrel and in the scope mount threaded holes on the reciever. Includes all necessary mounting hardware. Mount system allows for scope and red dot mounting as well as accessory items. Made of high grade aluminum alloy, this unit is CNC machined and then covered in a hard anodized black finish. Quad has 33 top slots, 25 left and right side slots and 6 bottom slots. Mount your lights, lasers, verticle grips, bipods and all your accessories on one easy to use rail system.